Based on the recently released list of the top 25 most popular passwords of 2015, I empathize more with the second quote. The inescapable conclusion: we’re morons. To understand specifically how I came to this conclusion, let’s begin with this little, uncomfortable fact: 40% of Americans have either had a personal account hacked, been notified that their personal information had been compromised, or had a password stolen. So, with that in mind, you’d think we’d take security more seriously. Or maybe listened just a little to the advice security experts have given. 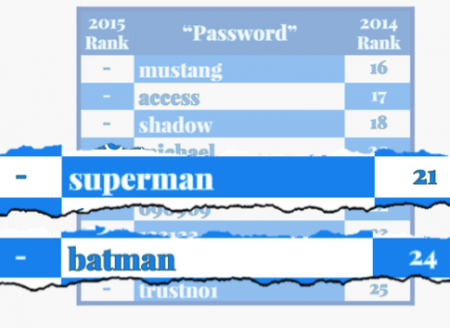 Every year, SplashData releases its list of the 25 most popular passwords, and it’s always a humbling reminder that although some of our great thinkers might have stood on the shoulders of giants, the rest of us… not so much. A strong showing in theaters this summer should bring them both back! Yep, we have some terrible passwords. It’s nice to know that they might actually be getting a little bit better, what with the inclusion of combo passwords like 1qaz2wsx, it’s a step in the right direction. It still violates most of the rules about safe passwords, but it’s a step in the right direction, isn’t it? 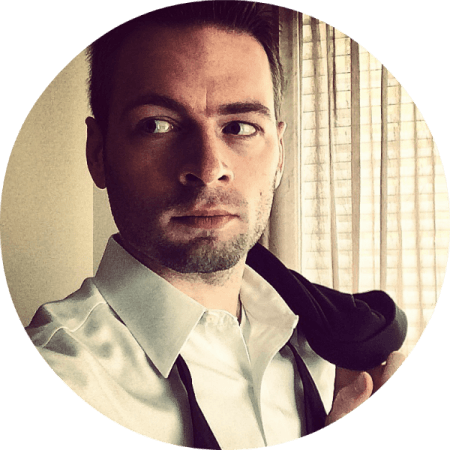 I figured that after reviewing that terrible list, it would be a helpful reminder to list several of the top steps that security experts take to protect their information. To demonstrate how terrible we are, I’ve found statistics on how well the “rest of us” do in following those tips. A combination of characters including at least one upper case letter, lower case letter, number, and symbol, respectively. 2 in 3 don’t use any symbols in their passwords. Password managers can help to create complex, strong passwords, and they keep them organized. Since the programs usually have a strong password requirement for access and keep their data encrypted, they’re about as safe a place to keep your passwords as possible. For those of you who “Write them Down,” the Kaspersky study also says you either share it or leave it out in the open for other to find. Dumb. That’s right, most experts recommend that we use a different password for every login. Honestly, it’s probably the best reason why a password manager is such a great idea. So… how do we do? Were you expecting more? 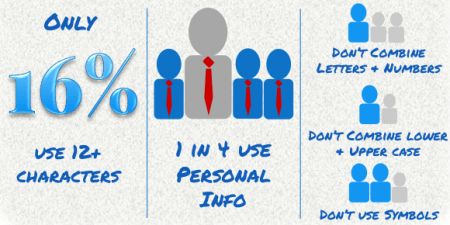 Roughly 1 in 4 of us uses only one password. 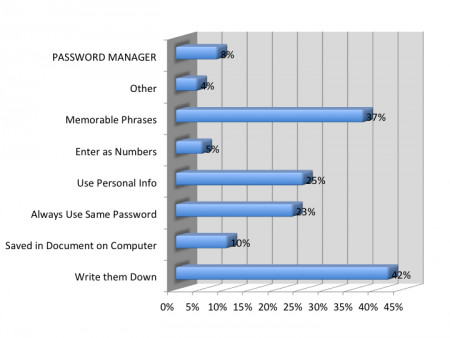 Overall, more than half the population uses 5 passwords or less… on an average of 24 online accounts.